The New Bedford Housing Authority is constantly striving to enhance existing programs and policies to keep our communities safe. With the help of residents and neighbors, the implementation of innovative programs, and vigorous lease enforcement by NBHA staff, we can continue to maintain the safety of NBHA properties. The NBHA has a Security Office led by a Manager of Security. The Security Office works closely with local, state, and federal law-enforcement officers to ensure the safety and security of all public housing residents, visitors, and employees. The NBHA has had a long-standing policy of issuing No Trespass notices to individuals that are no longer welcome at certain NBHA properties. No Trespass Notices are either served for on-site behavior or for any criminal activity conducted off of the property, that, if committed on NBHA grounds, would have adversely affected the health, safety, or quality of life of our residents. 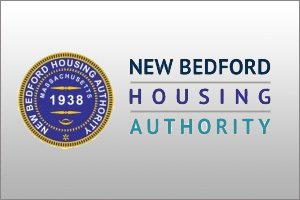 The New Bedford Housing Authority was the first public housing authority in the nation to successfully implement a Police Residency Program. This program featured in many of our federal developments positively affects our properties by providing an on-site police presence, positive role models for young adults and children, thereby improving the relationship between New Bedford Police officers and residents of the Authority. The NBHA employs the use of digital, wireless security cameras to ensure safety and security of our residents and their neighbors. Our high-rise buildings have interior cameras in the common areas as well as their external grounds. Our larger family developments have cameras covering all of their exterior grounds. Currently, we have twenty-one (21) security cameras in use in developments and buildings located throughout the city.